How to test credit cards on Demo? Go to your company panel, then to Service Types, add a new service (add rate button) or select the one that is already active. 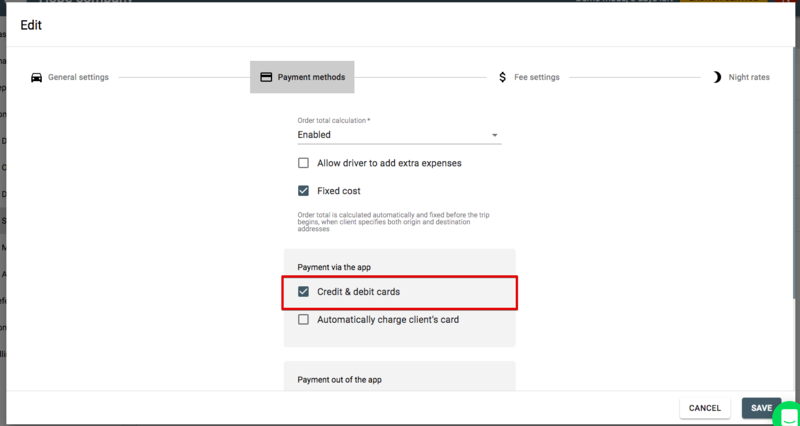 Go to 'Payment methods' and enable the option of payments with credit and debit card. CSC or CVV: Any 3 digits. Same demo card you can add in driver app for the demo driver top ups and more.